Benedict Cumberbatch Confirms Sherlock Series 4! Sherlock star Benedict Cumberbatch’s recent period drama Parade’s End took home the Best Drama prize at this year’s Sky Arts South Bank Awards earlier today and apparently its lead actor had a tremendous amount of information to share at the post-award press conference. 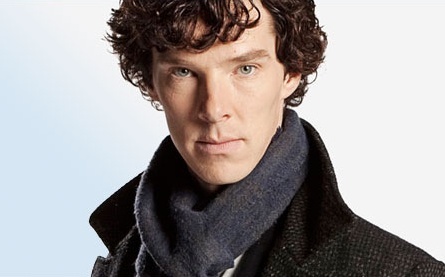 The biggest bombshell of course being the news that Sherlock will be back for a fourth series! Taking questions from the press, Cumberbatch revealed that both he and co-star Martin Freeman will be back to continue the critically acclaimed (and globally popular) adventures of Sherlock Holmes and John Watson. "We've agreed to two more series but I could get into trouble for saying that," Cumberbatch explained to the Radio Times. "All I know at the moment is I'm doing these three [i.e., the upcoming series that begins filming on Monday] and another three." Furthermore, Cumberbatch once again indicated his desire to do even more Sherlock in the future, time and schedules permitting. On the possibility of a Series 5, the actor said "It just depends on Martin and I's availability, how long we can keep it going. It depends on Steven's ability. I'd love to keep it going." Both Cumberbatch and Freeman are becoming big deal Hollywood stars these days and creator Steven Moffat also has another little show to run by the name of Doctor Who. Filming on the current third series is already having to be split into two sections due to the other commitments of everyone involved (Freeman has to do more filming on The Hobbit and Cumberbatch has like four movies currently in the pipeline), so who knows what will happen in the future. But the scheduling problems are likely to get worse as both actors get more exposure from their non-Sherlock projects, so everyone ought to prepare themselves to cling to this promise of Series 4 in the long cold of the inevitable second Great Hiatus. But, we can wait, right? Look how far we’ve already made it this time! Sherlock Series 3 starts filming March 18 and Cumberbatch, now having read the script, says the first episode is “an absolute stonker” (translation: it means amazing/excellent, etc.). Series 3 is currently slated for transmission later this year in the UK, but no one has any real idea what that means, given all the variables around the split filming sessions and other things already scheduled to hit UK telly later this year. So don’t be surprised if we’re looking at waiting another few years to see Series 4 (once we ever get Series 3). But, isn’t it really all fine as long as we get it eventually? Are you excited at the prospect of more Sherlock? Where would you put yourself on a scale of 1 (mildly interested) to 10 (breathing into a bag)? Lets discuss the simultaneously frustrating and powerful mixed bag that is "The Child in Time".